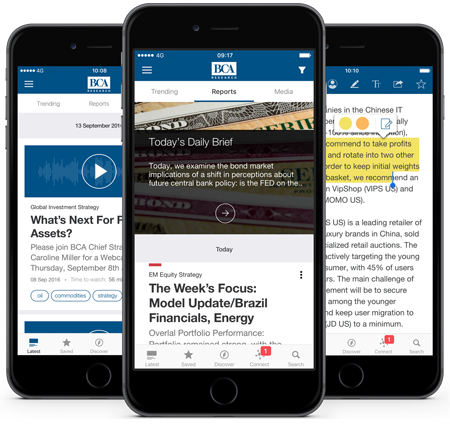 Access the power of BCA's research, insights and analysis from anywhere and at anytime directly from your mobile device. A brand new way to connect with BCA, helping you make more informed decisions, faster than ever. 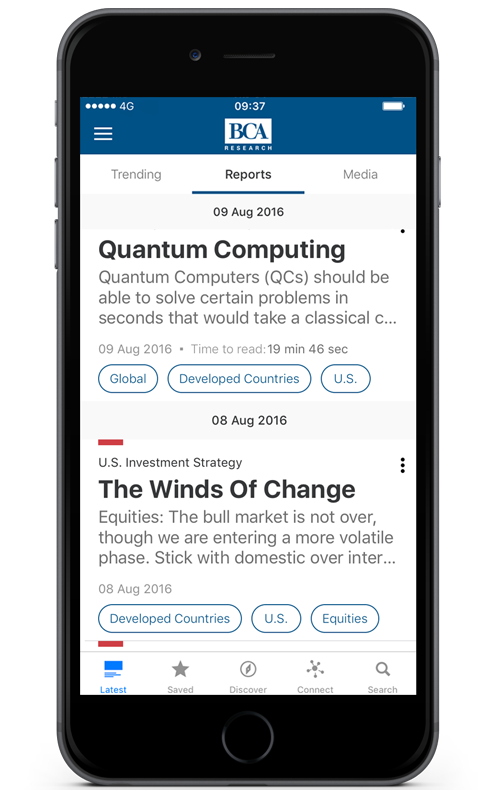 Read and listen to all of our research on-the-go. Access mobile-exclusive content including the BCA Daily Brief, summarizing the day's analysis. Securely log-in without a password and save content for offline reading. Powerful search tools to quickly find answers to your investment questions instantly. Get exclusive video and audio content for mobile. Interact with BCA through 'Ask a Strategist' and polls. Annotate and share research at the click of a button. Available for iOS 8 and above.